When a woman is brutally attacked on a lonely country road by an escaped inmate from a nearby psychiatric hospital, Sergeant Davie Gray must track him down before he strikes again. But Gray is already facing a series of deaths connected to legal highs and a local fairground, as well as dealing with his girlfriend Marie’s bizarre behaviour. As Gray investigates the crimes, he suspects a horrifying link between Marie and the man on the run – but how can he confront her when she’s pushing him away? As a terrified Marie is pulled back into a violent past she thought she’d escaped, she makes an irrevocable decision. And when events come to a head at a house party on Willow Walk, can Gray piece together the puzzle in time to stop the sleepy town of Banktoun being rocked by tragedy once more? 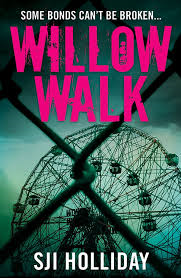 Opening with what is probably the creepiest prologue I have encountered for some time, Willow Walk quickly establishes a chilling air that draws the reader in instantaneously. What Holliday balances so beautifully is the very ordinariness of this small Scottish town, with the extraordinary dark secrets and emotional tribulations that exist within the lives of its inhabitants. Consequently, she can draw in characters to a greater or lesser degree as the story unfolds, and how the events impact on the wider community. Indeed, with a flourish of authorial brilliance, Holliday has used a character that made only a fleeting appearance in the first book as one of the main characters in this one. Her characterisation is consistently superb, and shows great skill in playing with the sympathies of the reader throughout. Like Black Wood, there is a curious mix of likeable and dislikeable characters, and there’s a wonderful sense of a grey area in their motivations and desires, demonstrating how far ‘ordinary’ people can have their own morality tested by the bad situations they find themselves in. The stalwart figure of Sergeant Davie Gray is at the epicentre of the book, ruefully observing the downsizing of his police team, and grappling with affairs of the heart in his fledgling relationship with the secretive, and obviously, emotionally damaged Marie. With an escaped mental patient on the run, of which Marie knows more than she’s telling, and the nefarious activities taking place when a travelling fair pitches up in Banktoun, Gray certainly has his work cut out in this one, but manages to retain the air of decency and professionalism that defines his character so markedly. He’s a safe pair of hands as the evils of the outside world begin to encroach on the community that he works tirelessly to protect. The characterisation of Marie was terrific, and desperate to avoid spoilers as usual, this is a woman who undergoes the brunt of the darkness that lies within the book. I loved the way that her character veers from moments of emotional tenacity, to the depths of despair and fear, and it’s fair to say that Holliday really puts her through an emotional wringer. As we, as readers, begin to realise the weight of emotional turmoil that her former years placed her under, through the clever use of correspondence from a damaging figure in her past, her story is utterly enthralling, as is how she can possibly extricate herself again from a position of extreme danger and threat. Throughout the book, Holliday uses the other characters in a cameo form, to unveil a tale of teenage angst and the dangers of legal highs, so topical in Britain at the moment, and the protagonists ebb and flow in the book as a whole, but not to the detriment of the main narrative. It will be interesting to see which of the minor players will come to the fore in the next book, as even in a fleeting mention there are people within this book that I really want to know more about. 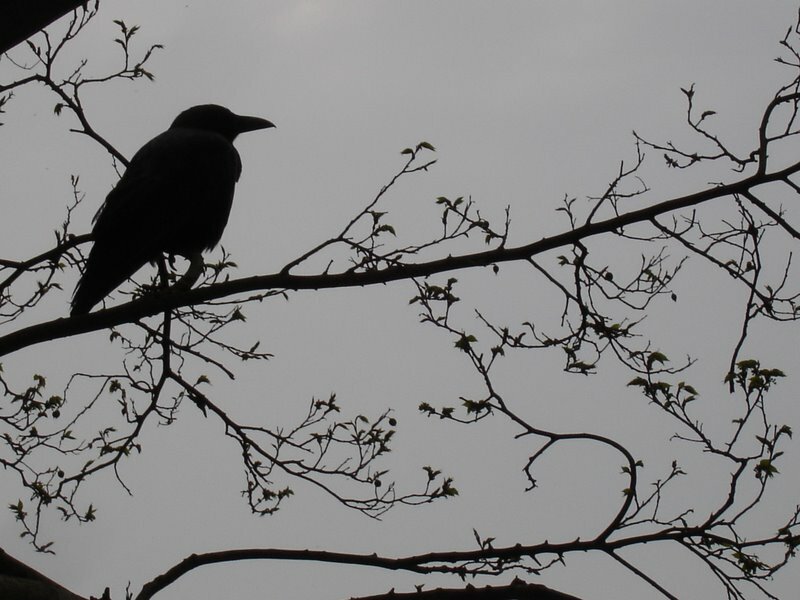 Once again, Holliday has weaved a tenebrous tale which is no ordinary tale of small town folk. As the extent of the depravity that Marie has experienced in her early life comes to the surface, the book attains an air of claustrophobic, psychological darkness that is both disturbing and voyeuristically intriguing, and which ultimately just keeps you reading. The extraordinary nature of Marie’s experiences work harmoniously with the very ordinary preoccupations of some of the town’s other inhabitants, and it is this balance of plot, and sterling characterisation, that makes Willow Walk such a deliciously dark and compelling read. Highly recommended. Previous postRaven’s Joining In! #20booksofsummer – and Raven’s Mum too! I loved this book! Very creepy indeed. I’ve just finished writing my review for this book – I loved it and completely agree with the completely creepy prologue!